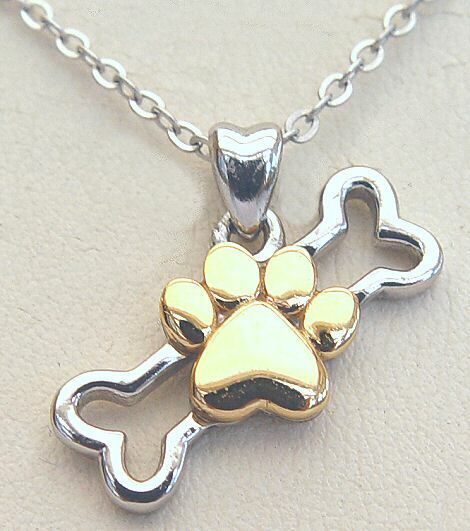 Dogs leave pawprints in our hearts. 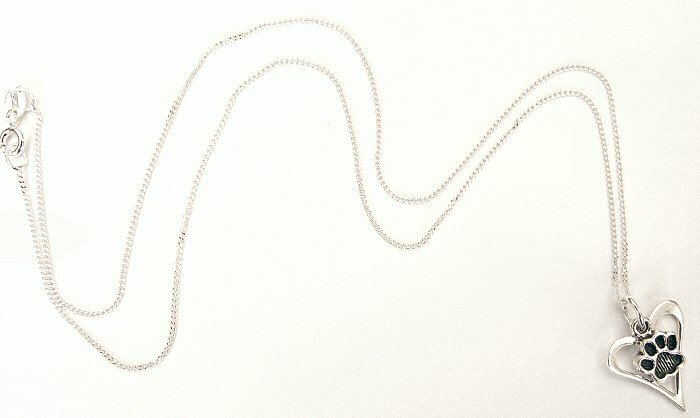 This is a unique designer necklace by Silver Animal Jewellery. 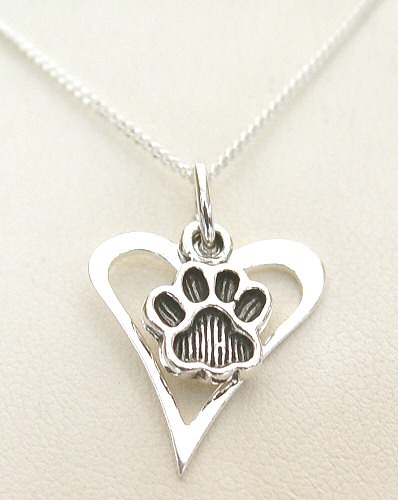 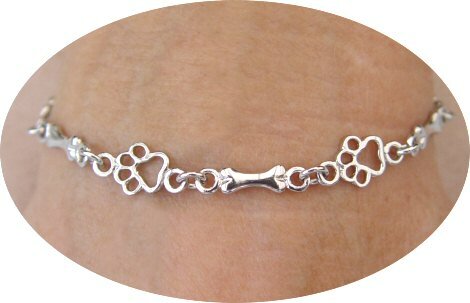 It is a Sterling Silver Heart and Pawprint Necklace on a Sterling Silver Curb Chain. 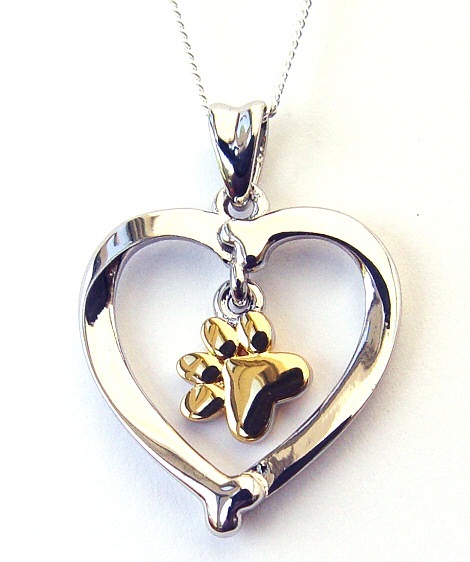 This is a funky and contemporary asymmetric cut-out heart and a separate Pawprint charm, both 925 Sterling Silver, strung together to form one unique pendant. 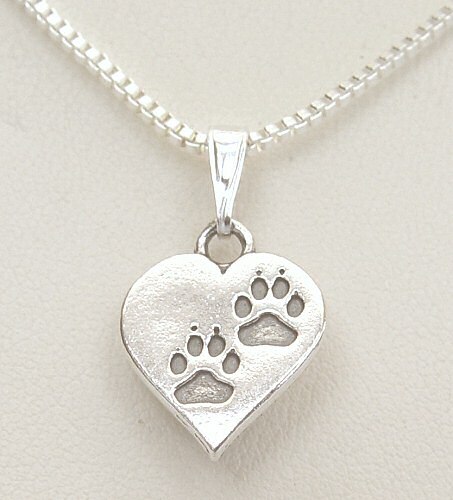 The whole drop is approx 2.5cm by 1.7cm wide and the Pawprints In My Heart pendant is available on either an 16" or 18" 1mm Sterling Silver Curb chain. 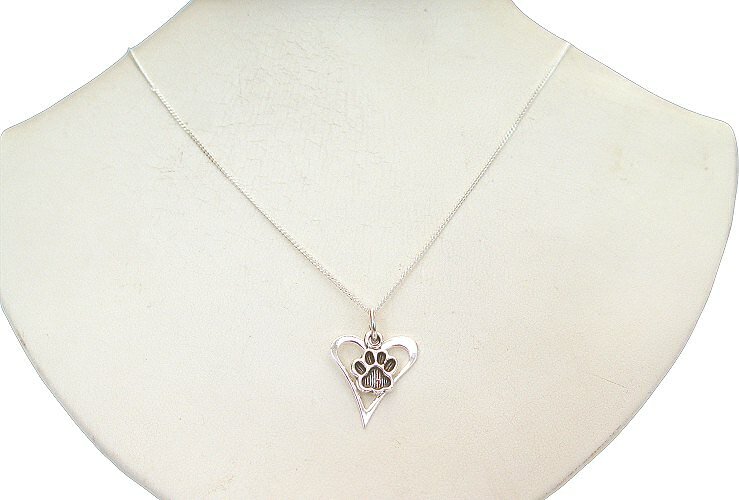 Short Description:- Pawprints In My Heart Necklace: Contemporary cutout Heart and separate Pawprint dangle strung together to form this unique dog necklace. 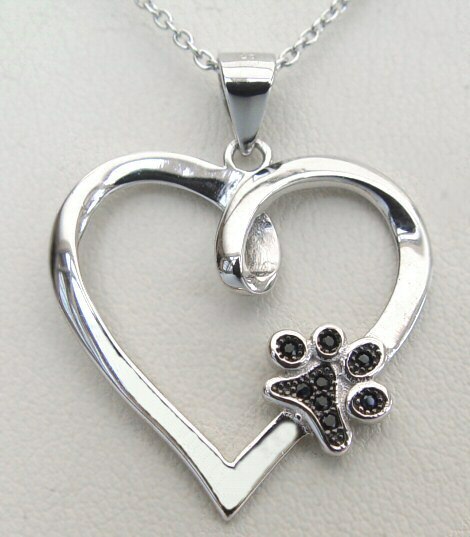 All made from 925 Sterling Silver.